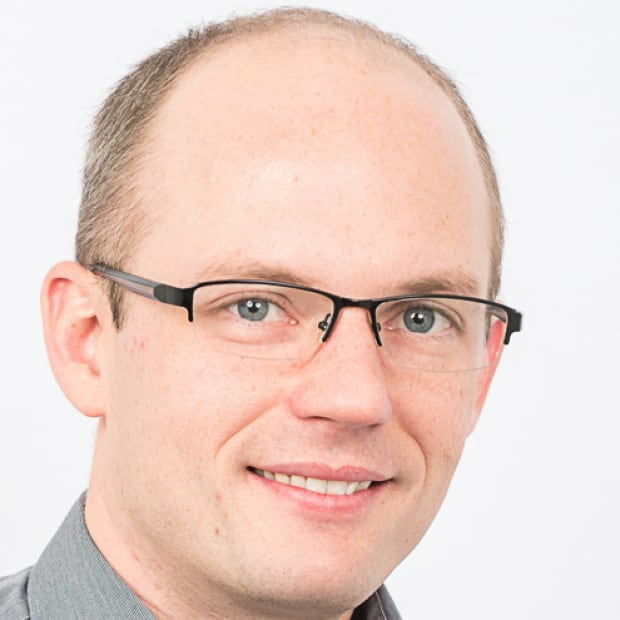 “They missed a big opportunity to reduce uncertainty, build trust, and — most important of all — show their prior commitments were genuine.” Economist Trevor Tombe looks at what wasn’t in Alberta’s most recent budget. Budget 2018 was a missed opportunity — in more ways than one. 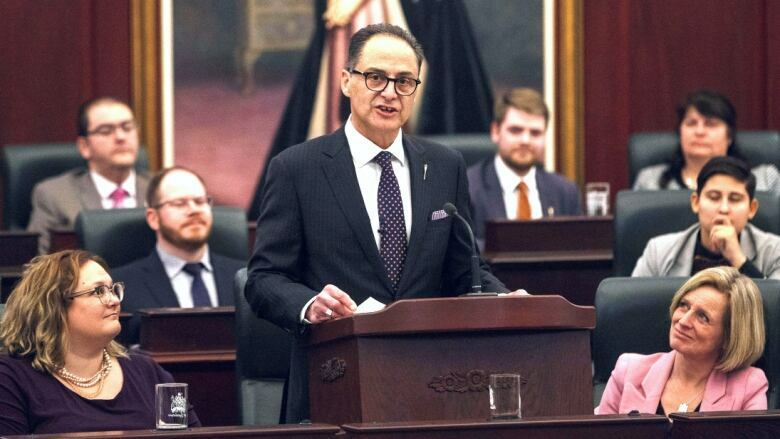 It was an opportunity to present Albertans with a credible plan to balance the budget. To clarify what the government's "compassionate cuts" would be. To lay out a vision for how to get our province off the royalty roller-coaster. These were the government's own clearly and repeatedly stated goals. And on each, this budget failed. In her year-end interviews last December, Premier Rachel Notley said Budget 2018 would present "a responsible, credible path to balance for 2023. We're working very rigorously on it and it will be responsible." And in his pre-budget shoes event, Minister of Finance Joe Ceci promised Budget 2018 would provide a "detailed plan to balance the books." Instead of a five-year plan to balance the books, the minister presented a three-year plan to a $7-billion deficit in 2020/21. They missed a big opportunity to reduce uncertainty, build trust and — most important of all — show their prior commitments were genuine. But they took a pass, and there's no good reason why. The budget did contain hints of a potential path to a balanced budget. It described the total revenues, royalties and spending that the NDP government needs to balance by 2023. But this does not constitute a plan. It lacks any credible detail. It's an aspiration (barely). It's one thing to know where we have to go, but it's quite another to map out how to get there. Without that detail, fiscal uncertainty remains. The government projects spending levels of $65.5 billion by 2023/24. But in what ministries or on which programs is not known. How much for health, how much for education, how much for community services, and so on? And what of the compassionate cuts the government repeatedly referenced? Your guess is as good as mine. The same is true on the revenue side. 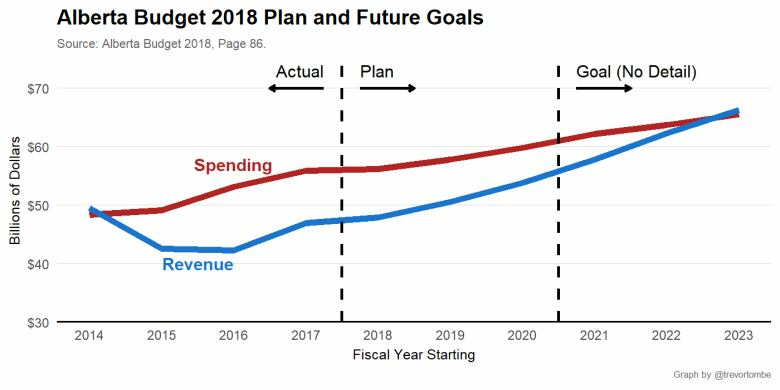 The government needs $66.3 billion in 2023/24 to balance. Of that, $10.4 billion will be from resource royalties. But how much from income taxes, carbon taxes, gas taxes, federal transfers or user fees? We don't know. This lack of detail is unusual. Former Premier Jim Prentice released a detailed 5-year plan in Budget 2015. He even included a 10-year plan with more information that what we see in Budget 2018. And it's not just former government budgets that provided more details than what we got this time around — opposition parties have, too. The opposition shadow budgets from the Alberta Party and from Independent MLA Derek Fildebrandt both contained more information than the government's own numbers. With an army of skilled and professional public servants, with a wealth of data and modelling at their disposal, I expected more. Much more. There's no reason why they couldn't have presented a plan to balance. In fact, they appear to be on such a path already. From 2016-17 to 2020-21, program spending will grow an average of 2.1 per cent a year. That's less than population growth plus inflation — a useful benchmark for spending. And if it continues forward to 2023-24, it may be sufficient to balance the budget by then — if royalties grow to $10 billion or so. ANALYSIS | Alberta's debt is growing, so how much is too much for Albertans? My own estimates — based on entirely independent, cruder methods — suggests this is enough. But why leave such analysis to people outside government? We don't have all the information, or the time, to put forward a credible plan — and no mandate to make tough choices. The government has all this. So why not put some meat on the bones? Making bold statements about future policy with little to no detail is what opposition parties do, not governments. Lofty rhetoric doesn't substitute for a credible plan. This matters. A lot. Because what global credit agencies are looking for, this budget doesn't offer. For starters, Albertans have now seen five deficit budgets in a row. Low oil prices made this unavoidable. But with economic recovery underway, we must turn to balancing the books without relying on royalties. If not now, when? Credit rating agencies are also a factor. 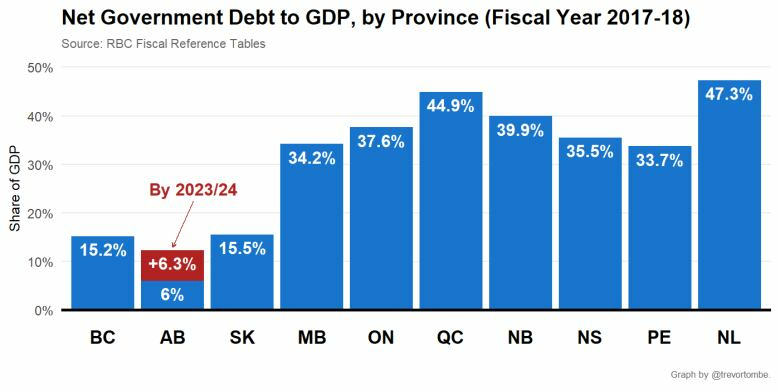 Alberta has seen many downgrades in recent years, but not because we're drowning in debt as some suggest. Alberta has the strongest balance sheet in the country, now and for the foreseeable future. 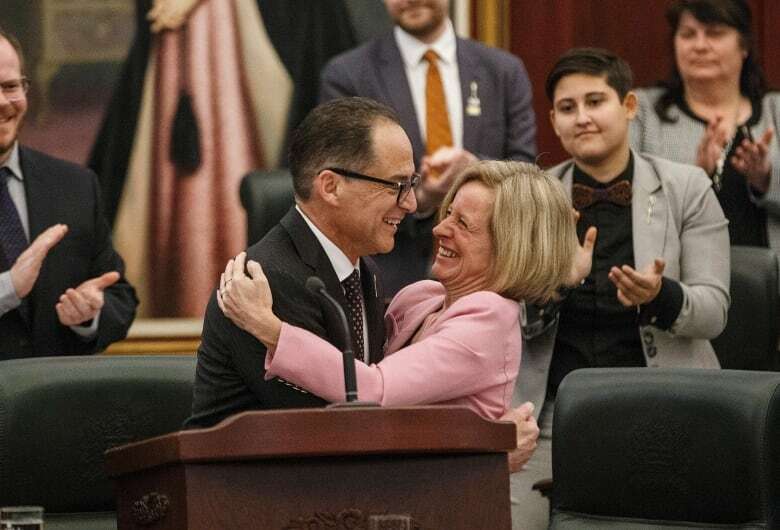 From such a position of strength, Alberta's government can make far more careful, nuanced, and longer-term fiscal decisions. But they aren't. Instead, rating agencies worry about the risk of Alberta voluntarily exposing itself to volatile oil prices. By continuing to require substantial resource royalties to balance, this budget fails to address the core concern of investors. "It appears to us that the government is partly looking to a recovery in oil prices to improve its fiscal position," wrote S&P in its report last year. And DBRS (another ratings agency) is concerned "that the plan to return to balance relies on a recovery in resource revenues, rather than fundamental adjustments to the budget… [and] there is no clarity as to when the credit profile will stabilize." Budget 2018 fell short. It may even risk another downgrade. Yet again, the government kicked the fiscal can down the road. And it's only getting heavier. We're as reliant on royalties as ever. Despite government claims to the contrary. In Budget 2018, we need $12.6 billion in resource revenues to balance — an amount Alberta has only seen once before (in 2005/06). To shrink our reliance, we need to shrink the deficit without relying on royalties. And we aren't. Between now and 2023-24, royalty growth delivers three-quarters of what the government is counting on to balance. Here's another way to think about it. 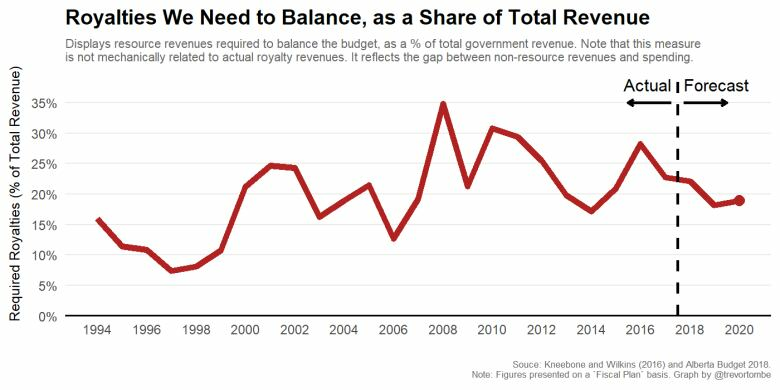 Below I plot the fraction of government revenue we need to come from royalties to balance. If fewer royalties come in, we run a deficit. If we're lucky enough to have more, then we run a surplus. We need roughly one in five dollars of government revenue to come from royalties in order to balance — and this will only modestly decline in the coming years. The problem with Budget 2018 was not so much in what it contained, but in what it didn't. Worse, there was a complete divergence between public statements made by the premier and the minister of finance and what Budget 2018 ultimately revealed. If the government wanted to provide a plan, they could have. They chose not to. Maybe there's a good reason. Perhaps they couldn't agree. Perhaps they're worried about making the tough choices. Regardless of the reason, the bait-and-switch the government pulled risks lowering its fiscal credibility further — at precisely the wrong time. With fiscal challenges as large as Alberta's, a full and frank public debate is needed. With Budget 2018 as the last full budget cycle before the next election, this was their opportunity.